Box Text: jam-packed arcade action! 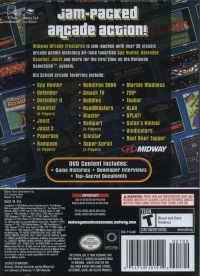 Midway Arcade Treasures is jam-packed with over 20 classic arcade games including all-time favorites Spy Hunter, Defender, Gauntlet, Joust and more for the first time on the Nintendo GameCube system. 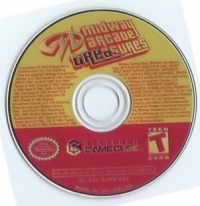 This is a list of VGCollect users who have Midway Arcade Treasures in their Collection. 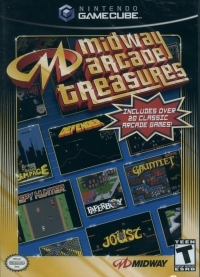 This is a list of VGCollect users who have Midway Arcade Treasures in their Sell List. This is a list of VGCollect users who have Midway Arcade Treasures in their Wish List.